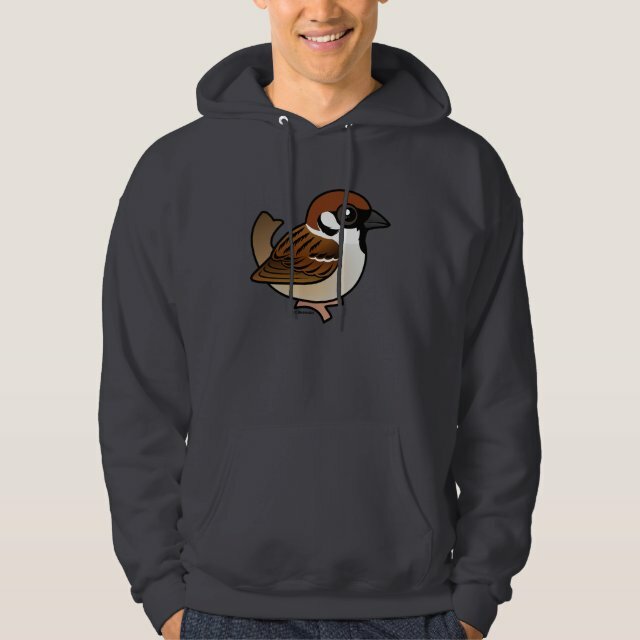 The Eurasian Tree Sparrow is a native bird of Europe and Asia. This cutie is featured here in cute Birdorable form. You can customize this gift. Move the bird around, change the color or style, add text or images -- make it your own! Enjoy the comfort of this warm and toasty pullover hoodie. You?re going to love it. We?ve made it from a 10oz. cotton-poly blend with a 100% cotton face. It has set-in sleeves and double needle-stitched armholes and bottom band for durability. Customize to make it your own!